You guessed it — I’m going to talk about money. It’s not that I’m obsessed with money. I just like to know where all mine is going. That’s why I downloaded the free “Spending Tracker” app. Most money apps are designed to digitally keep all your credit cards and bank accounts in one place, but I wasn’t interested in that. I wanted something to track my spending because I kept wondering where all my dollars were going. I’ll first say that I have a Windows Lumia 520 phone and I love it. This app works really well on it and overall, I’ve been very impressed with the Windows system on a cell phone. Now on to the app. “Spending Tracker” has preset categories you can upload spending amounts into, such as clothes, fuel, entertainment and travel. You also can make your own categories (I added school supplies and auto care). From there, every time you make a purchase, you simply select a spending category and enter the dollar amount. 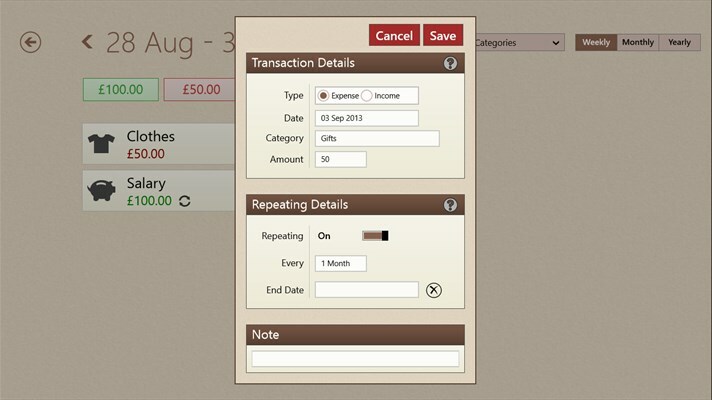 You also can add your income amounts so you know exactly what your cash flow looks like. 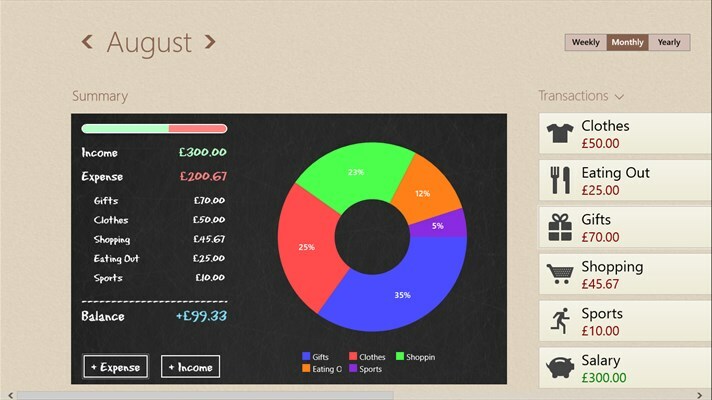 “Spending Tracker” also creates a pie chart and bar chart so you can check your spending at a glance. When I’m considering if I want to go to the movies, I just take a look at how much I’ve spent on entertainment (too much!) before making that decision. The free version offers lots of ways to personalize your tracker. You can search through categories, reorder them, or change the colors of the labels themselves. 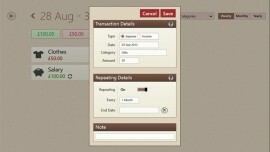 It also allows you to set a budget mode and carry the remaining balance over to the next month. The Pro version, which costs $3.99, allows users to export expenses to a CSV file. It also automatically syncs purchases in a Dropbox and creates a backup of your history. The free version provides plenty of features, but I wish it could create monthly budgets for each category. It isn’t meant to be a budget app though. It’s meant to track spending, which is precisely what it does.